At the 200-year-old Barclay Farmstead in Cherry Hill last Tuesday, township officials and community members didn’t look back at the past, but instead toward the future. 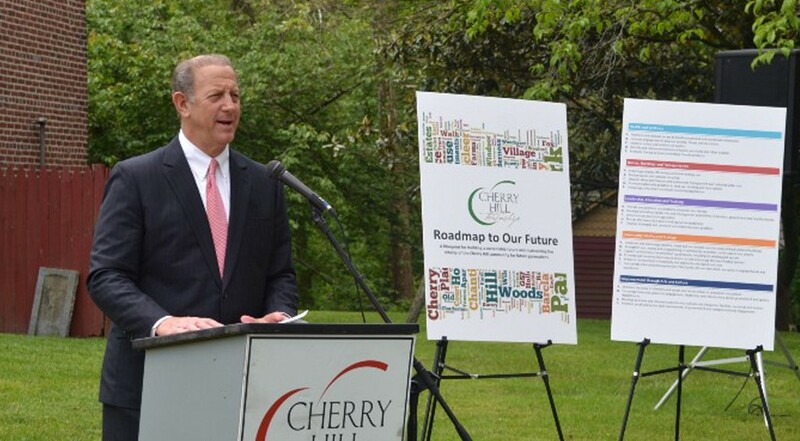 Standing on the grounds of the historic farmstead, Mayor Chuck Cahn and other members of the Cherry Hill Green Team unveiled Cherry Hill Township’s “Roadmap to Our Future.” The 51-page document details a plan for developing a sustainable future for years to come in Cherry Hill. Creating a sustainable plan has been something on Cahn’s radar since he first took office as mayor in 2012. The Cherry Hill Green Team has spent the last three years drawing up the blueprint, with the group meeting a few dozen times in that period. The document is very detailed and broken into five main categories — health and wellness; homes, buildings and transportation; leadership education and training; community vitality and ecology; and empowerment through arts and culture. Within each category are strategies for initiatives the township plans to take on in the coming years. Each strategy includes one- and two-year goals. Because the plan includes so many areas of everyday living, Cahn believes all residents will find something interesting in it. Having an all-encompassing plan was important for members of the green team. Scott Downie, president of Sustainable Cherry Hill, said sustainability has a very broad definition, and the green team wanted to touch on as many areas as it could. “If you go through the roadmap, it really touches on everything sustainability is,” he said. Many community members who spoke at last Tuesday’s event said the plan got done because of the cooperation of many key township figures. Cherry Hill Public Schools has worked in harmony with the township on this plan. Former school superintendent Maureen Reusche was a green team member and current Superintendent Joe Meloche took over that role when he was promoted to lead the school district. Meloche said having the students’ interest in sustainability makes it easier for the school district to take part in the township’s future plan. A number of students from Joseph Sharp Elementary School were at last Tuesday’s event. Kristy Ranieri represented Sustainable Jersey at last Tuesday’s event and was impressed with the township’s plan. 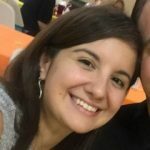 She plans to use Cherry Hill’s roadmap as a model for other towns when developing sustainability plans. “Green teams across the state don’t have something like this,” Ranieri added. Creating “Roadmap to Our Future” is only the first step for the township. Now everyone from township and school officials to Sustainable Cherry Hill and business leaders know they have to execute and achieve the goals they set forward. To read “Roadmap to Our Future” in full, visit www.cherryhill-nj.com/roadmap.